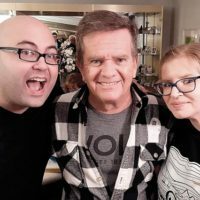 Butch Patrick aka Eddie Munster from “The Munsters.” on Deadersons! Guest Star DJ Midday Michelle! Find out who won the race for Mayor of Bloody Hills!! It is also Halloween time in Bloody Hills and the kids run into the unknown while trick or treating. 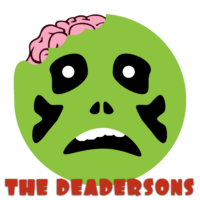 The Deadersons worry about the election at the annual Halloween party while Delia and Stacey attend their first frat party as college students. Rockford’s Sitcom is back!! 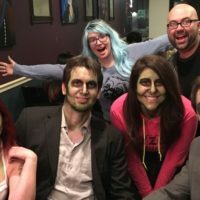 The season 2 premiere finds the mayoral race in Bloody Hills heating up as Ben Midnight debates Beatrice…I mean Bernie Bones as Mayor of our favorite Zombie Town. Meanwhile while the Deadersons kids enter high school, Delia and Stacey face college while Donnie also faces some brand new college woes.